Check out the lab getup. Entry into the lab requires full gear, from the hair net to the booties. Rachel told me that she felt like she was wearing a hazmat suit, but she was beaming because of how clean it felt in the lab. When most companies talk about their labs, you’re to think about sterile white walls and scientists with test tubes, not here. Yes, our lab is sterile—they even use an ozonator to keep the air clean (Rachel says that it smells amazing because the herbs and essential oils in the lab are the only things that give off a scent)—and yes, there is lab glass there for measuring precise amounts, but our lab is also filled with purposeful positive intention. We have said time and time again that our formulator is dedicated to creating the purest products possible, and that includes energetic purity. The lab is made to be a place of only positivity, affirmation, and attention. The four lab technicians that work to create our products are sure to clear their own energy before they enter the work space, and if they’re having a bad personal day they are encouraged not to work with the products at all. 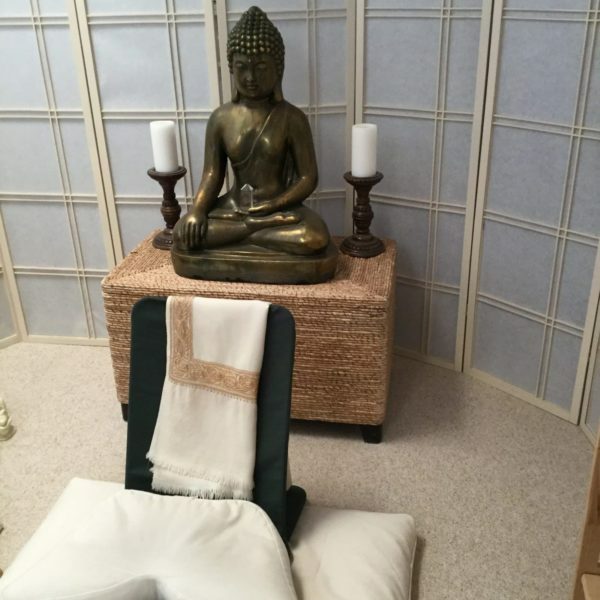 There are comfortable places for meditation in various meeting places around the lab’s offices and while they are working with the products, their attention remains wholly on the products and adding positive intention to them. It makes for a very peaceful, quiet, and comfortable workspace. There are crystals on almost every surface of the lab and any machines that are running. 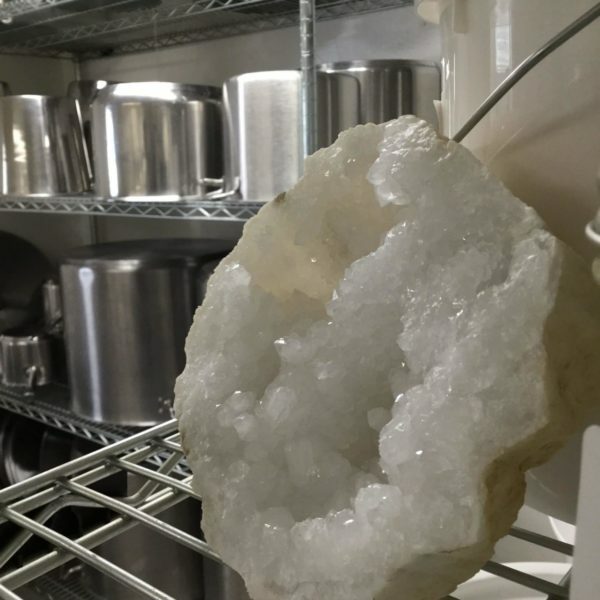 Crystals help to ground and open the area to the positive intention, along with helping to hold and resonate the energy throughout the entire space. 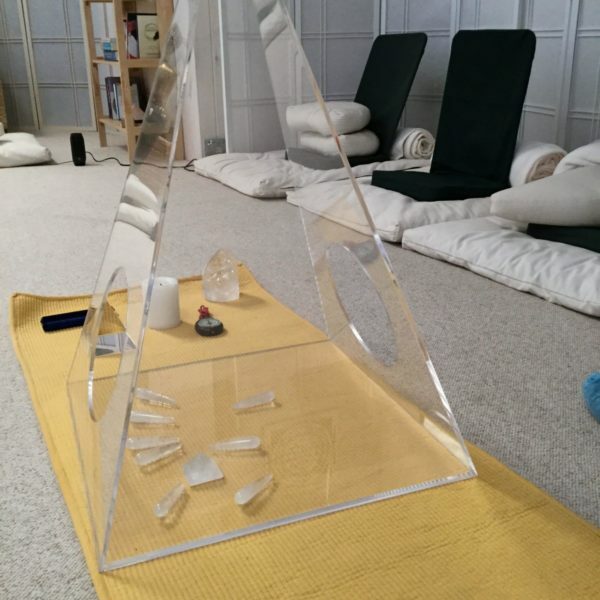 The healing vibes of the pyramid shape are also utilized in the lab to increase focus, positive energy, and vital life force in the space. This is one of the pyramids in the center of a meditation and meeting place. Along with the pyramids and crystals, you will find sacred geometry, inspirational quotes, and beautiful artwork. They don’t leave a single stone unturned when it comes to beauty and enrichment in their intention. The purity is honestly breathtaking. There's a lot of energetic magic in the lab. It may seem a bit hokey, but we truly believe that it makes a huge difference. It's also a part of our dedication to the Wild. Beautiful. method that we ascribe to throughout our entire process. Before we got into the nitty gritty of how our products are made, let’s back up and talk about the ingredients in our products. When we choose to make a product, we create a formula with this same level of integrity in mind. We make sure that we can sustainably source the most organic, wildcrafted ingredients available and we only work with vendors that provide complete honesty and transparency in their process. After we’re all set with ingredients and a synergistic formula (which can take months to create through a trial and error process), we’re ready to start production for the final product batches. We have written about using copper in our products before, but we also use a copper table and a spinner drum to cleanse and purify the energy of the herbs when we receive them. Then they put them together into a copper drum to enliven the energetic synergy that the herbs will create together. Note that even though we use organic and wildcrafted herbs, they are dried before being used in our formulas. This is because most of our products are oil based and fresh herbs have water in them. Since water and oil don’t mix, using a fresh herb to create an oil-based product greatly increases the chance for molding and contamination. Our process is pure and can be painstaking, so it’s vitally important to us that we take every precaution to keep that possibility to a minimum. Most of our products are herb-infused and utilize this method: Once the herbs are gathered together and awoken from their spin in the copper, they’re ready to be steeped. Obviously, the medium they are steeped in will be different with each product, but this is the Anti-Aging Facial Oil. You can see the calendula, goji berries, and lavender pretty clearly amongst the different greens of the other herbs in the vat. That means that the oils in here are a blend of jojoba and sesame. The herbs are kept around 90 degrees Fahrenheit and steeped anywhere from 15 to 45 days—depending on the product. The team checks on each batch every day until they reach the perfect scent and consistency. We make our products in small batches so that we can keep the consistency and the purity of each one. Even during the steeping process, our products are covered with crystals and the sacred geometry that you see around the lab to hold the positive vibration of the oils. 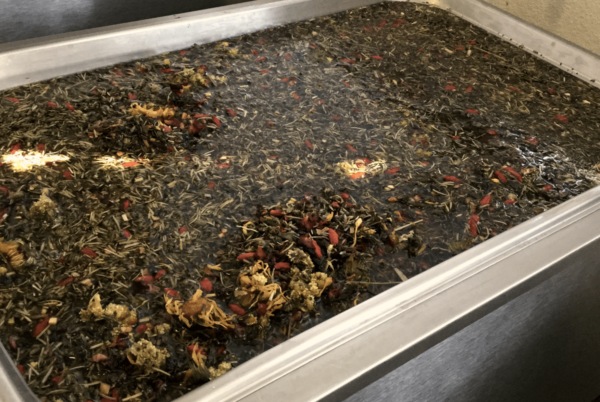 After the steeping process is deemed complete by the lab team, the herbs are strained and pressed and the final product is bottled into their full bulk containers. The final products are set on the shelf with more sacred geometric shapes to help unlock the power in the natural ingredients. 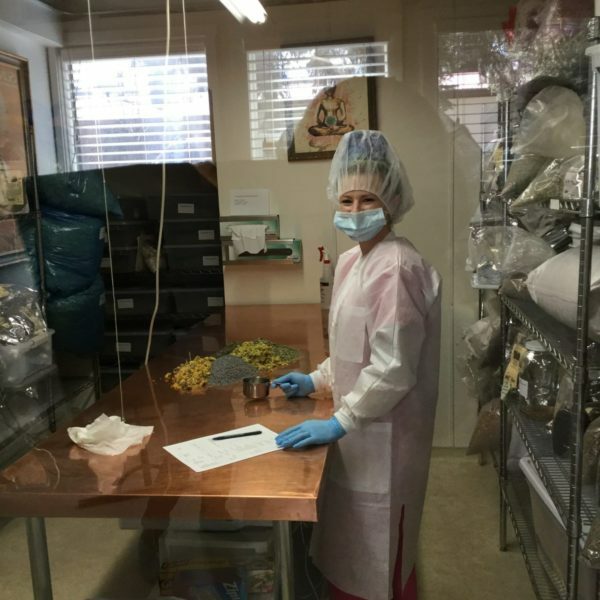 Every batch of product is sent to one of two of our third party labs for microbial and contaminant testing. When it comes back free and clear, the product is done! 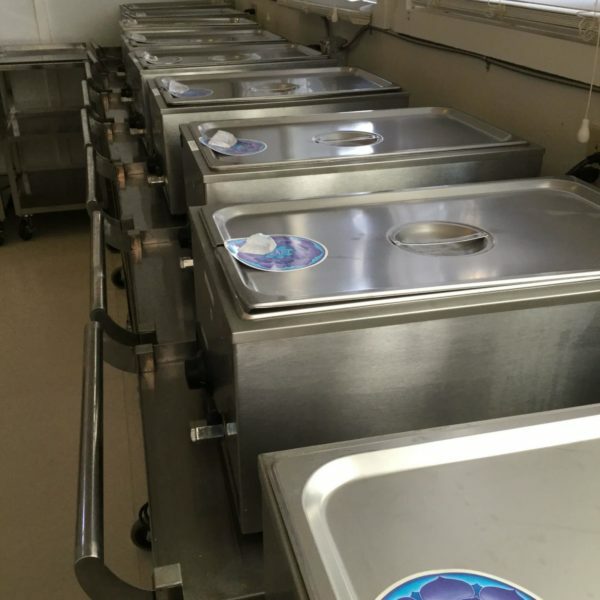 We also keep track of expiration dates, and a small amount of every batch of product will be kept at the lab for the duration of its intended life. That way, if we hear from you that something doesn't look or feel right, we are able to run more tests and investigate. With natural products, this does happen from time to time, but all of the above safety precautions are super helpful. 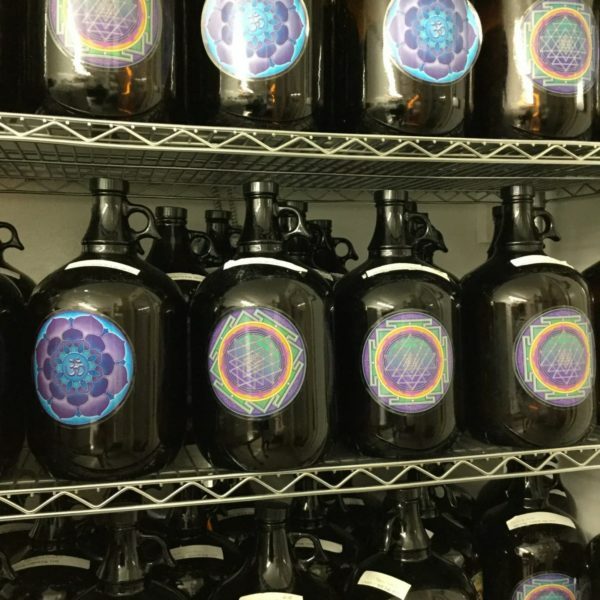 Clean and clear bulk bottles are sent to our co-packer to be bottled, packaged, and sent to the warehouse so that we can send them to you. What do you think about our process? Let us know in the comments below! Thank you for the peek into this gorgeous lab. We can see that you go above and beyond on every level during processing! Copper tables, geometry, and crystals. Who knew? It’s nice to know the kind of environment your products are created in is so thoughtfully inspired. Thank you for posting this behind the scenes account of how your products are made. I’m enjoying several of them. Your lab looks like a great place to work!